This week saw me taking a trip to Westminster to meet Government officials over the national push to improve air quality. I was invited to DEFRA’s HQ due to my involvement in Burnright, a national consumer awareness campaign which aims to help people to burn cleaner and more efficiently. Earlier this year, we put together a website with lots of free advice and videos with the aim of getting this important information to as many people as possible. The response has been terrific, with sweeps up and down the country supporting it and handing our flyers and information booklets to their customers. 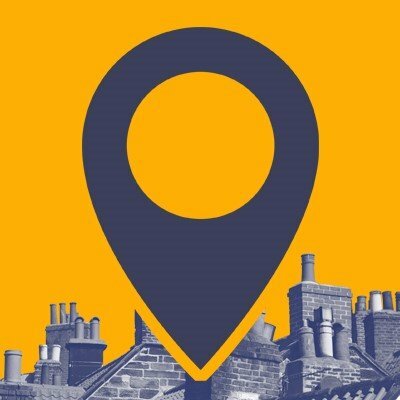 The campaign has the backing of organisations such as my own trade association, the Guild of Master Chimney Sweeps as well as the National Association of Chimney Sweeps, The Institute of Chimney Sweeps, and the Association of Professional, Independent Chimney Sweeps. In an industry which is unregulated and quite fragmented, the common sense of purpose is fantastic to see. The need for the campaign stems from the fact that, over the past 10 years, more and more people have been getting ‘real’ fires installed in their homes, and most of these are multi fuel stoves and woodburners. However, there is a real gap in people’s knowledge in how to use these appliances in the correct way. As a sweep, I see the fallout from this – flues full of tar and creosote which are one of the biggest causes of chimney fires. A lot of this is to do with how people use their stove. Even if they use good quality approved fuels, if they are burnt incorrectly, then it can be very dangerous and also very polluting. The government recognises that as sweeps, we play a vital part in educating people on how to burn correctly and therefore reducing emissions. We are in thousands of homes every week; we know the appliances, the fuels and the customers. That’s why they are keen to work closely with us and have specifically referenced our campaign in their emerging Clean Air Strategy. Some people think chimney sweeps are from a bygone era. But in fact we are at the forefront of helping to tackle a very real, modern-day issue. 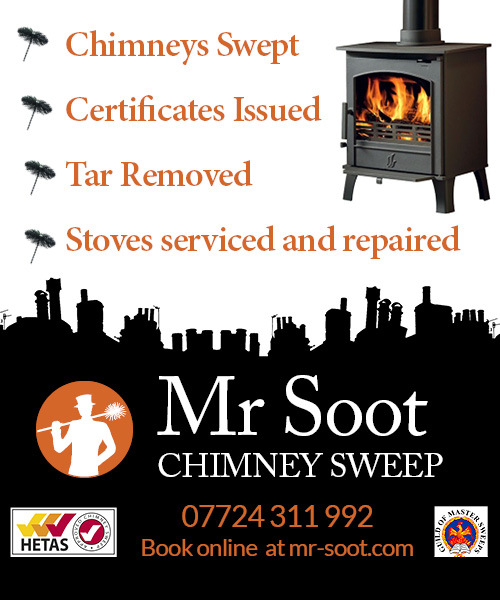 Mr Soot Chimney Sweep is a HETAS Approved Sweep, and member of the Guild of Master Chimney Sweeps, offering a professional and friendly chimney sweep and stove service in Wigan, Stockport, Southport, Ormskirk, Chorley and surrounding areas. Book Mr Soot online or call 07724 311 992.